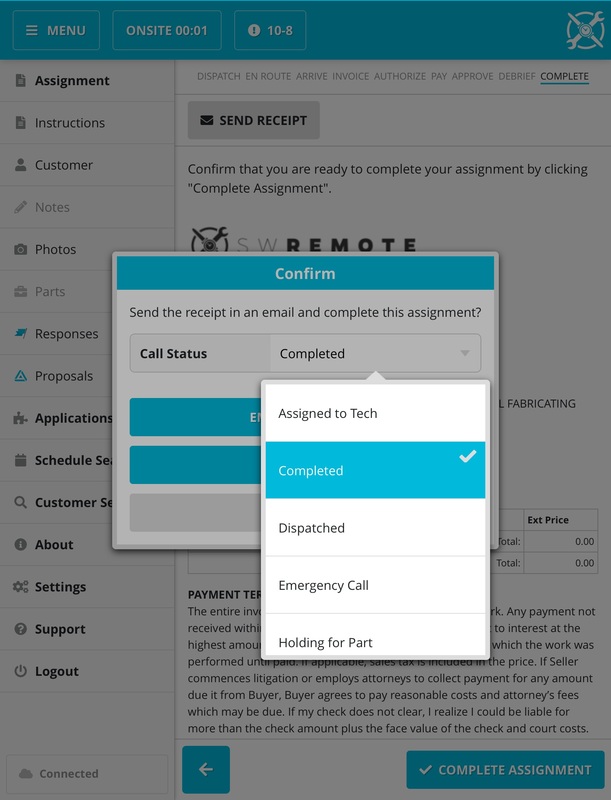 How do I select a custom Call Status in SWRemote when completing a job? 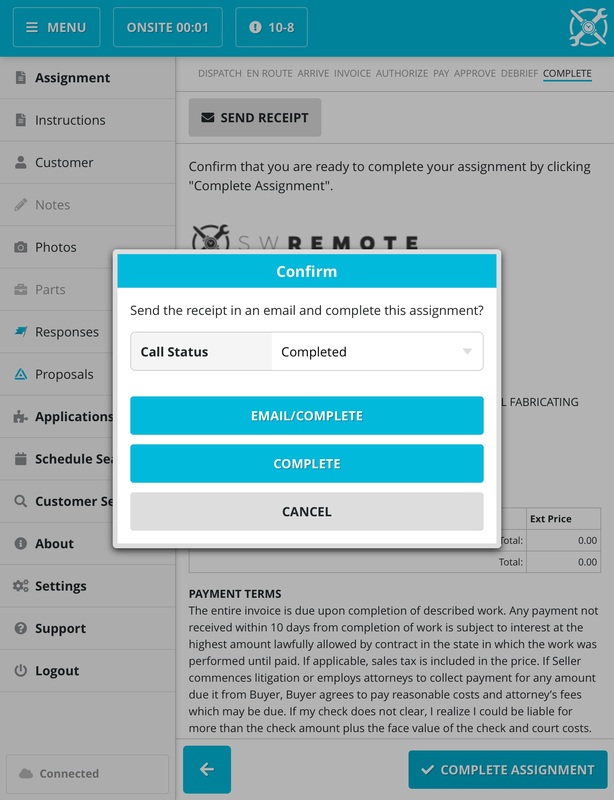 This can be done from our Complete Assignment screen. First select the Complete button and then you will see the dropdown available labeled Job Status or Call Status, as seen below. This will default to "Completed. If you select the dropdown that's defaulted to Completed you will find all of your Call Status in there to choose from, as seen below. From this menu you can select the Status you wish to use and continue to close your job to set this in SuccessWare21.